I'm taking a big risk here, but I'm hopeful that with some thoughtful & caring guidance, as opposed to an unregulated popular democracy (i.e. certain catastrophe), the collective will of the viewers can be translated into something really fun! 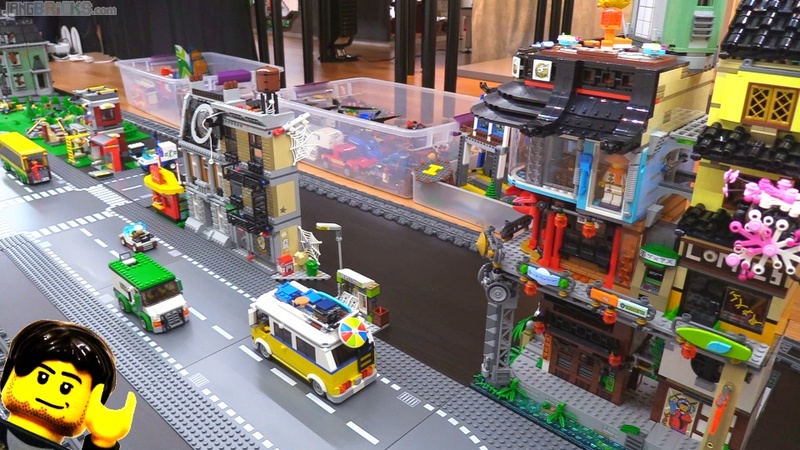 Video - Mellemby District kickoff: YOUR part of my LEGO city! Are you looking to integrate custom builds alongside official sets, so we get to effectively commission a custom jangbuild? Yep it'll be a mix for certain. How about a school/educational building possibly incorporating some form of eco friendly power sources. I think you should build a set (maybe) of rowhouses, or a custom modular building. Adding on to the above comment, is this district going to be strictly official LEGO sets or can we also suggest some builds for you to make? Since it'll be underground, best options would either be an underworld of the dead, similar to the world in Corpse Bride, or a kind of Trollhattan, or it could be a home to the space defense force/power miners that live and work underground. Any of those ideas would be beautiful. Dear Jang I think an interesting building could be a convention center. Yes it would be a large building taking a large amount of space. But think of the possibilities! Fan expo, car show, horror show, music concerts and the like. The building itself could be old school futuristic or anything in between. But a really cool fan expo would rock because you could put in everything and anything! Thanks jang look forward to seeing whatever you build. 50s theme to go with the diner!! Some cool hotrods and a drivin malt shop!! This comment is from my 9 yr old son, Jackson, who is an avid watcher. #1. He would like to see a swing-set in the Mellemby District. #2. He thinks it would be cool to see a video of the motorized tram. #3. He LOVES hot-rods and really would like to see you build one. His ultimate goal is to become a lego designer and is constantly making MOCs or customizing his sets. Thank you for producing such high quality and kid-friendly videos. We only allow certain YouTube channels and yours is one of the few that we can trust to be educational, fun, and safe.